If you saw "Jackie Chan's Hong Kong" on the Travel Channel then you are familiar with Hollywood Road.  For those who didn't catch the show, Hollywood Road is an area of Hong Kong where there are many many antiques shops. While visiting Hong Kong, the Schwark family and I set out to discover what it was that Jackie loved so much about this place. Antiques abound in the many shops on Hollywood Road. Some of the pieces for sale cost about the same as the yearly salary for an average person. However, there are many smaller shops that sell bargain priced trinkets for those who want to bring home a piece of Hong Kong at a lower price. As you can see I fell in love with the elaborately carved masks at this shop. The shopkeeper told me a story to go with each mask, but I didn't write them down and don't want to rely on my memory too much. If I recall correctly, one of the masks was the god of prosperity (or money), one was longevity (long life), two were gods of the sea, and one (the one with the big mouth open) was from Nepal. It doesn't really matter...I loved them all! Perhaps the Schwark family will write a story about their purchases...and there were many. We had a wonderful time at the shop on Hollywood Road. It was definitely one of the Totally Cool Things About Hong Kong!